These pretty little flowers belong to one of my favorite salad greens… I think. 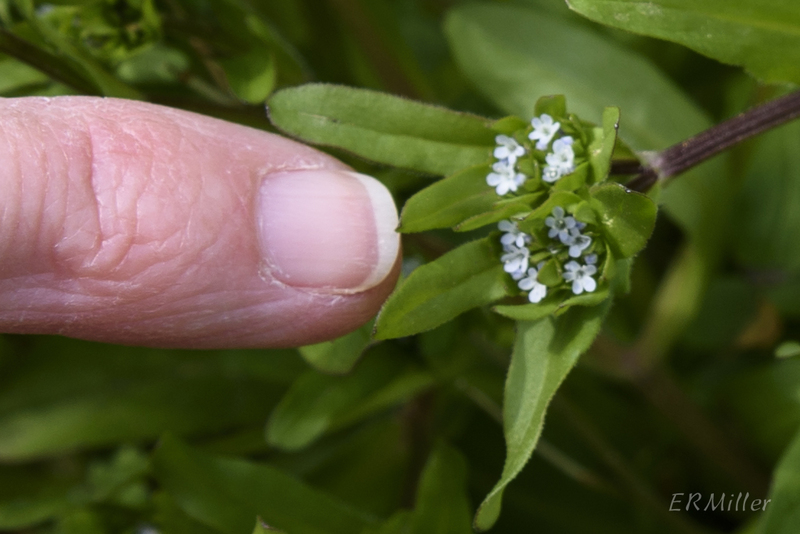 Thing is, this species is almost impossible to tell apart from the S1 listed (eg, endangered) V. chenopodifolia (goosefoot cornsalad), without a close examination of the seeds. And by close examination, I mean a hand lens might do it. A microscope would make it easier. I’ve seen this same patch of plants in the same place on the Billy Goat C trail every year, but have never managed to catch it in seed. Although V. locusta is an invasive alien, this patch seems pretty well behaved. So I sent these pictures to some experts and asked for their opinion. They believe it to be V. locusta, which if nothing else is supported by the odds. Oh well, I would love to have found an S1 species. But hey, if I did, it would look just like this one. The feathery foliage of this species can form large carpets on the floors of moist woodlands, but you really have to be looking close to see the flowers. 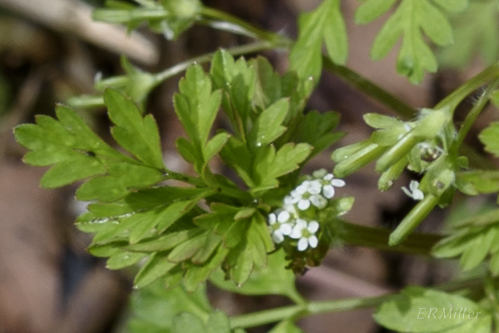 Although it’s in the same family as the culinary chervil (Anthriscus cerefolium) you may be familiar with, it’s in a different genus. 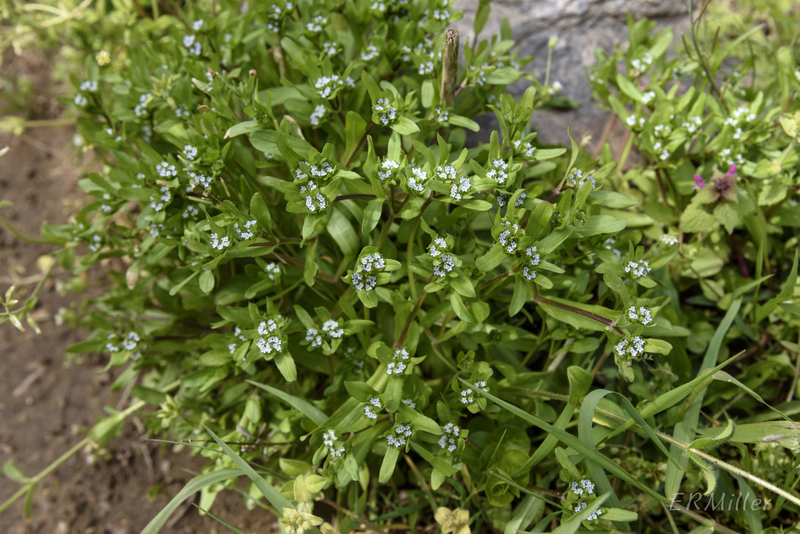 I’d love to know if it’s edible; the internet hasn’t coughed up an answer yet, and I will not trust a source that doesn’t identify a wild plant with a proper botanical name. I certainly am not about to sample it to find out. 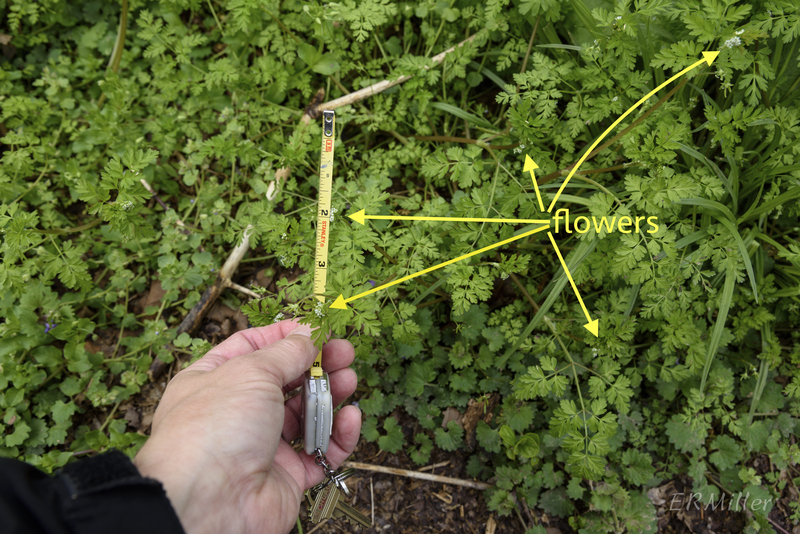 There are many delicious plants in the Apiaceae, like carraway, carrot, celery, cilantro, cumin, dill, lovage, parsley…. There are also poisonous ones, like giant hogweed, poison hemlock, water hemlock, and something called “deadly carrots” (Thapsia species). 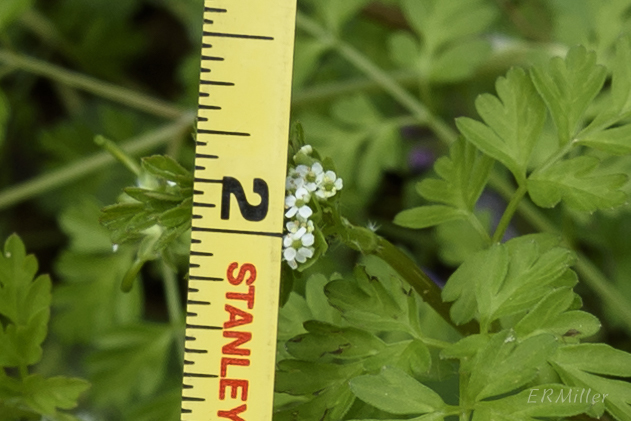 This chervil can be found from Maryland south to Florida, into the midwest and parts of the Great Plains, and even as far southwest as Arizona. 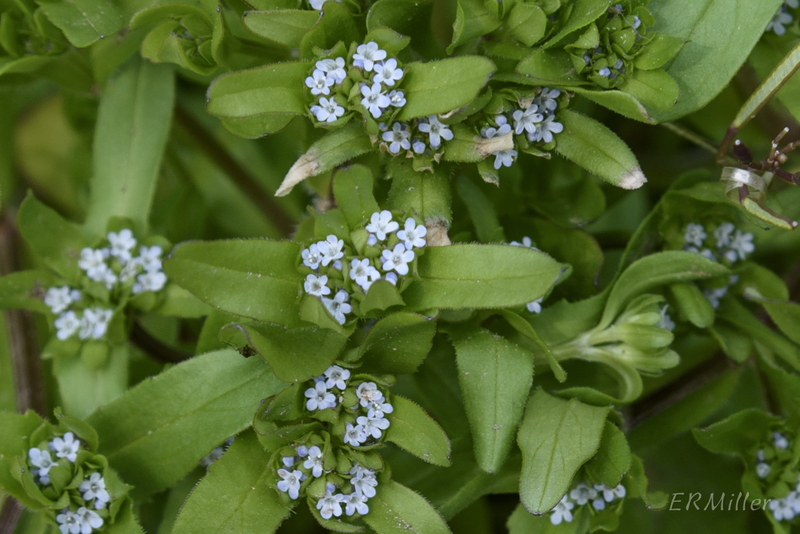 This entry was posted in Uncategorized and tagged Apiaceae, Chaerophyllum, chervil, cornsalad, Valerianaceae, Valerianella by elizabeth. Bookmark the permalink.